I am delighted that we are now able to provide information in both these languages to Chubb Travel Smart users. GWS Production AB (publ) announced today it plans to bring forward the publication of its first-quarter results to May 2 at 13:00 CET.The report was earlier planned to be released on May 29. 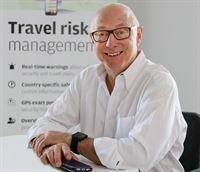 The insurance giant Chubb INA Holdings and GWS Production AB (GWS) in Lund will jointly continue to improve the employee travel security solution Chubb Travel Smart, for emerging markets. 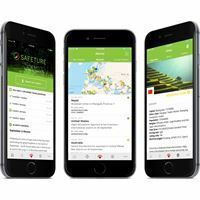 Chubb also extends the original agreement with GWS for another year to August 2021.In December 2017, Chubb´s Travel Smart App and System for travel risk management, powered by GWS, were launched and has been a major success in the market. 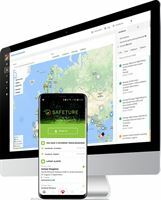 With it´s unique technology platform, GWS can quickly reach users who are at risk with accurate and relevant information compiled by the company's qualified analysts. Today, on 17 October 2018, an extraordinary general meeting was held in GWS Production AB. A summary of the resolution adopted at the general meeting follows below. The resolution was adopted with the required majority.The general meeting resolved in accordance with the proposal from the board of directors to issue up to 6,637,168 new shares in GWS to Adma Förvaltnings AB, a company controlled by Greg Dingizian, at a subscription price of SEK 2.26 per share. Payment for the shares issued shall be made in cash no later than the fifth business day following the extraordinary general meeting.